While this page isn't directly home theatre related, they are connected. I didn't listen to music all that much until I completed the HT. I then came to appreciate how good music could sound through a nice HT system. I was happy until I heard a mate's dedicated stereo system! (My THX HT speakers have a hard 80Hz cut off). This took two channel listening to a new level. Not wanting to spend a great deal of money I did a lot of research and came across the Chinese brand Sheng Ya. This is a high end brand that is not well known outside of china. Sheng Ya specialises in value hybrid designs. The systems made by this company have received a great deal of positive feed back on the internet. Ok, this is where things start to sound dodgy... I purchased the CD player, pre amp and power amp over the internet from a web site (NY Sounds) in New York that organised the gear to be shipped to me directly from the Sheng Ya factory in China! How dodgy is that! I did do my home work though. NY Sounds had a good reputation from the many people who had dealt with them on the net. I also first off purchased the CD Player only to see how this arrived. It only took two weeks and arrived in good working order. I then ordered the pre amp and power amp which once again arrived in two weeks. My only issues where some hold ups in Australian customs. Of course the down side to the very cheap prices is no warranty (you can however send it back if it arrives damaged), but in my case all equipment arrived in good working order and has been functioning for a year now. 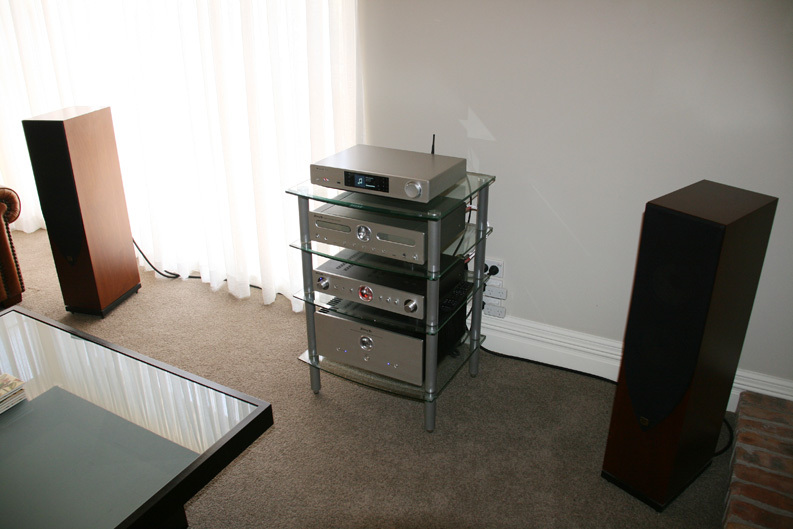 For speakers I purchased some outstanding Australian made Orpheus Aurora 3 Signature Editions through Audio Junction. 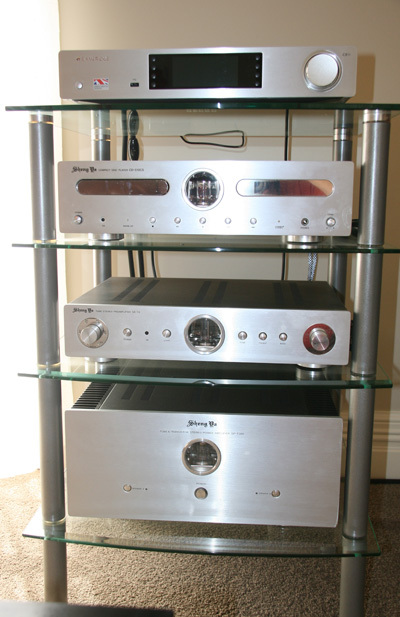 These are very musical sounding speakers with crystal clear highs and an amazing mid range. So how does it all sound? Warm / rich with a full body and an amazing mid range and highs. Needless to say I'm very happy with the systems performance. I was lucky enough to get high end audio at a budget price. In 2016 I entered the 21st centry by adding a dedicated media streamer. This is a Cambridge Audio CXN. It hooks into the wifi network in the house and can stream music from the Network Attached Storage (NAS), attached hard drive or over the internet via Spotify. The sound quality is outstanding and maybe a touch better than the CD player (original CD vs CD lossless audio rip).